Phoebe was just a normal little girl, until the day she skipped a rock across a pond, smacking a unicorn right in the face. After granting her wish of becoming best friends Phoebe and her unicorn, Marigold Heavenly Nostrils, are inseparable. 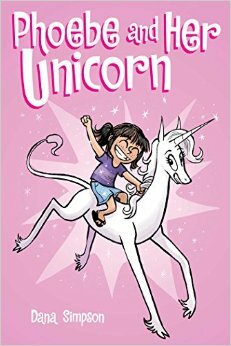 They forge through life together, learning about the human world and the unicorn world in this graphic novel that reads like a classic comic strip. This graphic novel will appeal to lovers of cute and funny things, who also enjoy a dose of sarcasm every now and again.